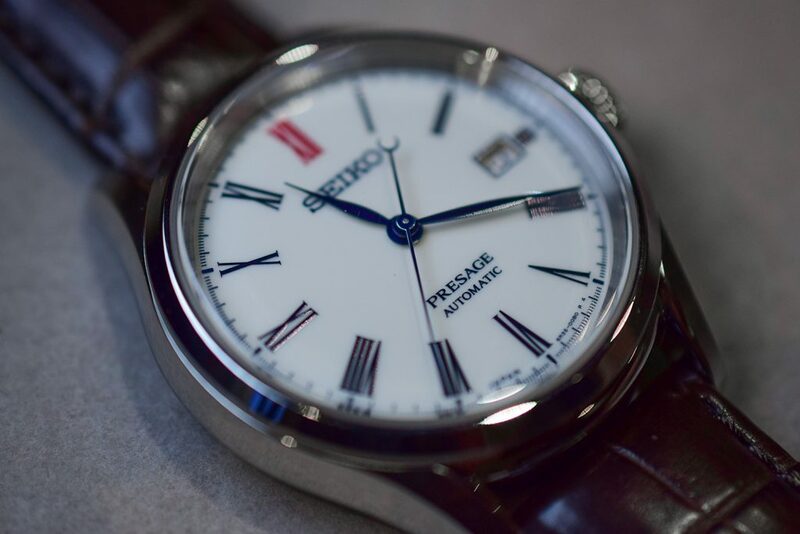 Last year, Seiko gave us the Shippo Presage enamel dial with guilloche at Baselwold which at the price point were a bargain for the amount of steps involved in creating the dials. This year, not to be outdone, they have provided two watches in porcelain. The dials are made in Arita, a Japanese town known for its porcelain. 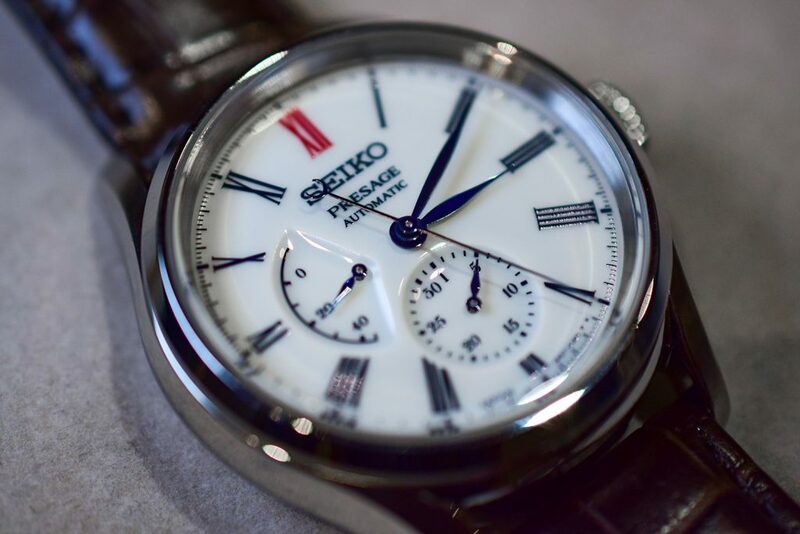 With 400 years of expertise in crafting porcelain, you can see why Seiko chose Arita for this new Presage lineup. 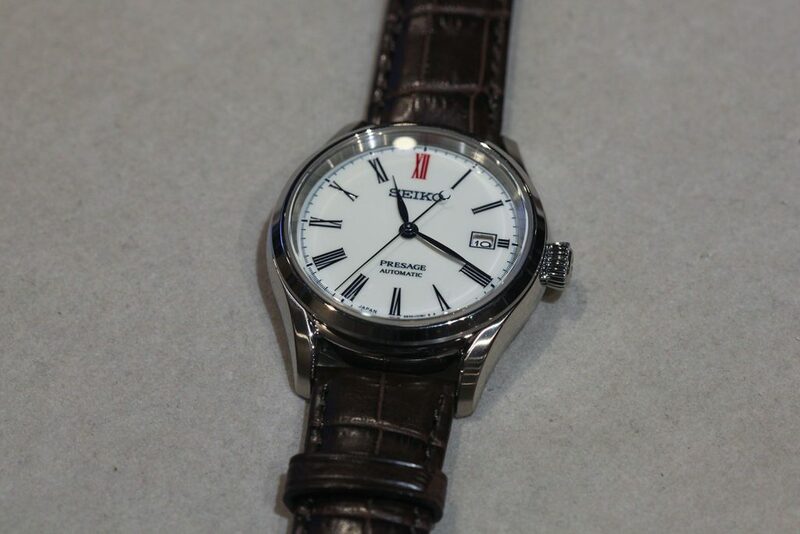 The process began 3 years ago when Seiko began working with master craftsman Hiroyuki Hashiguchi and his team to develop a new kind of porcelain that is four times stronger than the typical porcelain yet it has the flexibility required to be fitted in the dressy Presage line. Being made of porcelain, the dials requires a multi stage process. It starts with a base material being put in a special mold, to provide depth for the dial. 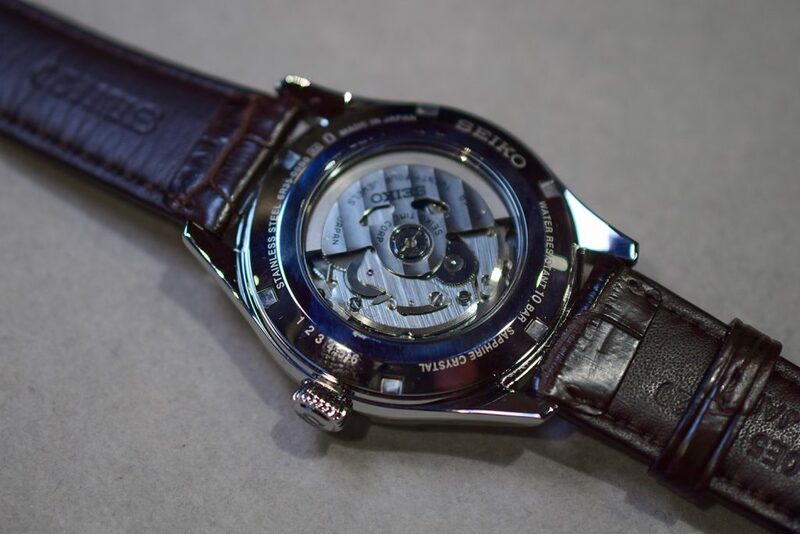 This is especially visible in the SPB093 where the recess for power reserve indicator and circular date at 6 o’clock is seen clearly in the pictures of the finished product. The dials are first dried and then heated up to 1,300 degrees to harden and the surface whiten. Then the team heats the dial again to give that deep finished look and well known Arita blue tinge. After this second heating process, the holes for the hands and date window are cut by laser, and then go through another round of heating so the areas that were cut for the date and hands are smoothed out. There are two version of this new series. 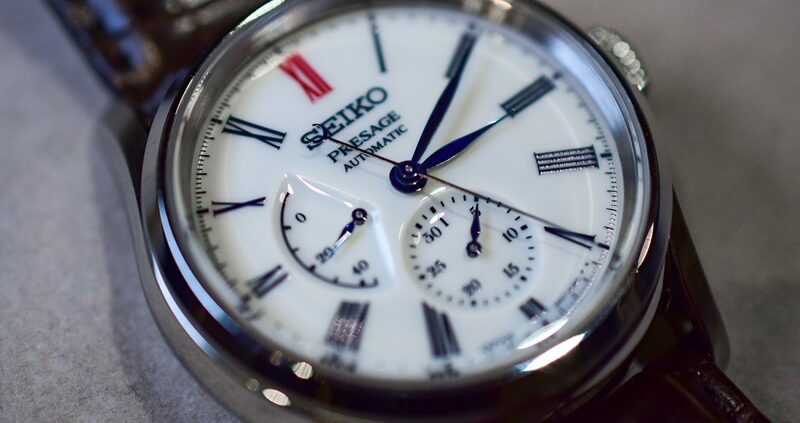 The SPB093 has a power reserve indicator at the 9 o’lock position and circular date at 6 o’clock. The case is 40.6mm with a thickness of 14.1mm. Powering the watch is the 6R27 movement that beats at 4Hz with 45 hours of power reserve. The SPB095 is powered by the new 6R35 movement that runs at 3 Hz but has a nice power reserve of 70 hours with a 40.5mm case that is 12.4mm tall. Thank you very much for the pictures and insight! I was hoping you would cover this release. Has porcelain been done like this before? Looks so good, especially the relief on the subdials! 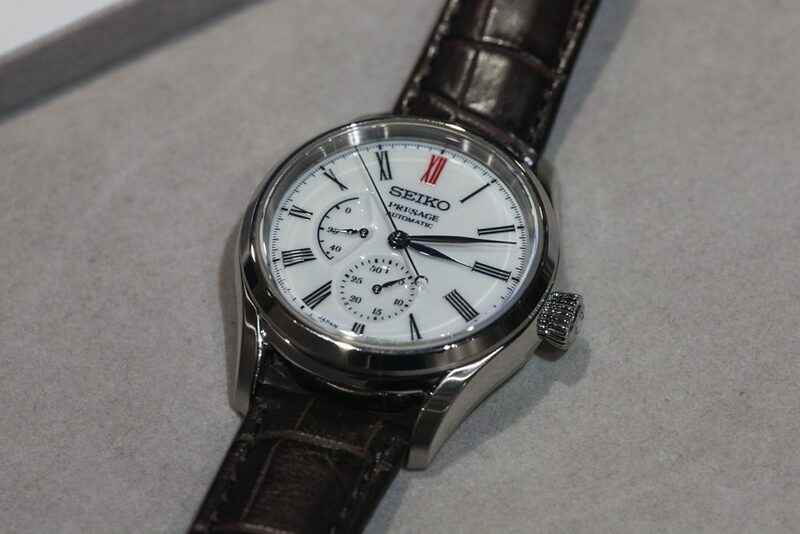 Seiko is just killing it lately, so good.. Price increases are real too though..